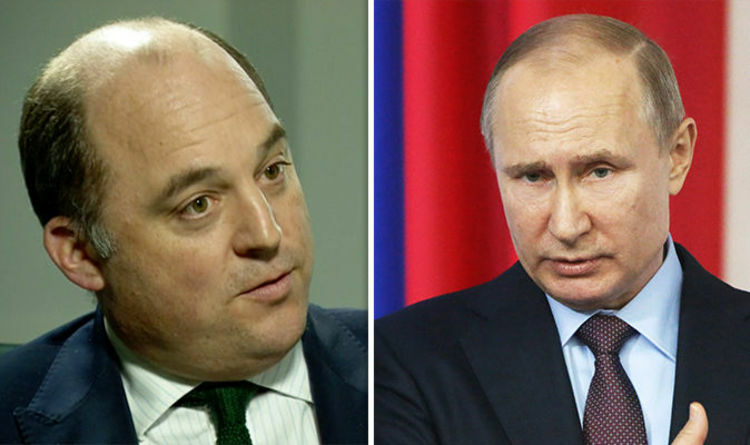 Appearing on BBC Newsnight, Ben Wallace, the Minister of State for Security and Economic Crime, told Russians that the UK was “coming to get you”. Theresa May addressed the House of Commons to pledge punishment for the nerve agent attack of Mr Skripal and his daughter after the Prime Minister said Putin’s Government were “highly likely” behind the incident. Outlining the Government’s hard stance, Mr Wallace warned Russians operating in London: “We are going to take steps to get the money off you if we can’t get you are well. “Only last week Britain went up in the rankings of the least corrupt county, we are now eighth in the world. Yesterday afternoon Theresa May imposed harsh retaliatory measures on Russia, including the expulsion of 23 high-level 'diplomats', which the Prime Minister said were in reality "undeclared intelligence officers". The move marks the biggest such dismissal in more than 30 years. The Conservative leader also said UK diplomats would boycott the World Cup in the summer and that assets would be seized from Putin’s cronies living in the UK. Russia’s Permanent Representative to the EU Vladimir Chizhov said in an interview with the TV channel Euronews that Moscow was not afraid of the UK’s punishment. He said: “Unfortunately, London opted for a language of ultimatums. “I can say that the language of ultimatums won’t be of any help in dealing with Russia, as Russia is not afraid of anything. “I think that both London and other western capitals could see it for themselves. Russia are yet to announce if they are planning any retaliatory measures to the punishments outlined by Mrs May in Parliament.